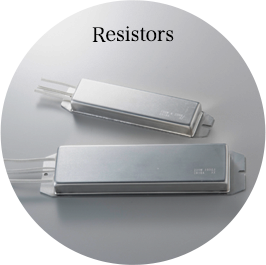 Manufacturer and seller of resistors and electrodes Chiba Techno Co.,Ltd. Meets all your needs, from small-sized ceramic resistors to high-power type ceramic resistors. 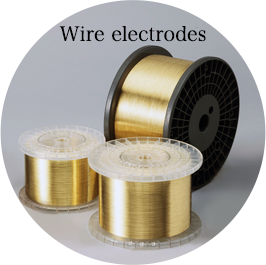 High quality, high precision and low cost CT wires do not allow any compromises. 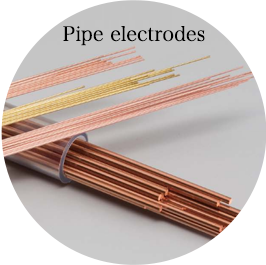 Pipe electrodes for machining small holes with low variation and excellent straightness. We will be closed from August 11 (Friday) to August 16 (Wednesday). We will be operating as usual from August 17 (Thursday). ◆Online “Parts Shop” will also be closed during the above period. End-of-sale for metal-clad wire-wound resistors (RHA5G/5N). Please consider the substitute (RHA10G/10N). Chiba Techno Parts online shop is now accepting credit cards. We will participate at the Medical Device Development Expo held in June. ◇Thank you all for visiting!